Bygone Badass Broads is her-story at it's finest! 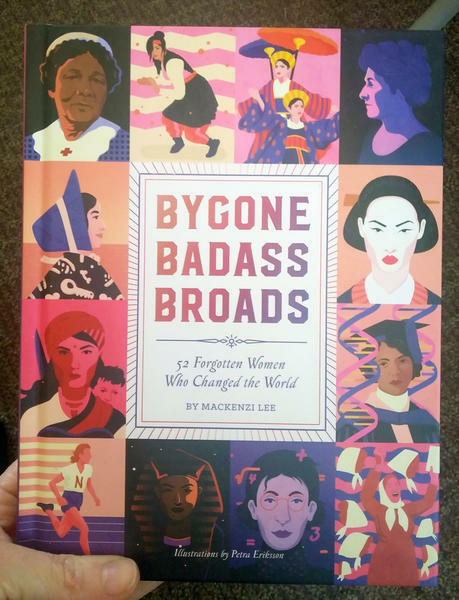 Based on the popular Twitter series of the same name, this book features 52 amazing women from fifth century BCE till now that paved the way for the rest of us. -A Muslim Pirate Queen rebuilds her city of Tetouan after getting revenge against the Spanish who had displaced her family and murdered her people. -The Gender Non-Conforming Nerd Who Ruled Sweden that pulled her country out of a war and then at age 27 abdicated the throne and spent the rest of her days shocking Europe with her pants-wearing wild ways. -The Jujitsu Suffragette who taught women how to defend themselves against police brutality and organized decoys and tools of evasion.